The Challenger workforce totalled 272 at the end of the financial year comprising 100 Kingsgate personnel (employees and casual contractors to fill vacancies); and 172 contractors. Contractors on site include: Leighton with 154 personnel providing mining services; Sodexo, 12 personnel providing catering and cleaning services; Powerwest, 2 personnel for power supply services; and AWG, 4 personnel for air leg and rise mining services. Turnover for Challenger permanent employees during the financial year was 23%, with 23 terminations and 22 new starters. New employees recruited on a casual basis with a view to permanency accounted for 19 positions. During the year Kingsgate have rebuilt the Challenger management team improving the depth of mining engineering experience. The new management, combined with targeted training has brought about a cultural change with the emphasis now being on proper planning, appropriate contractor management, accountability. To encourage staff retention, there was a focus on improving the site facilities with an upgrade to the mining office as well as site communications to allow employees to communicate with their families while on site. The Coober Pedy Football Club. 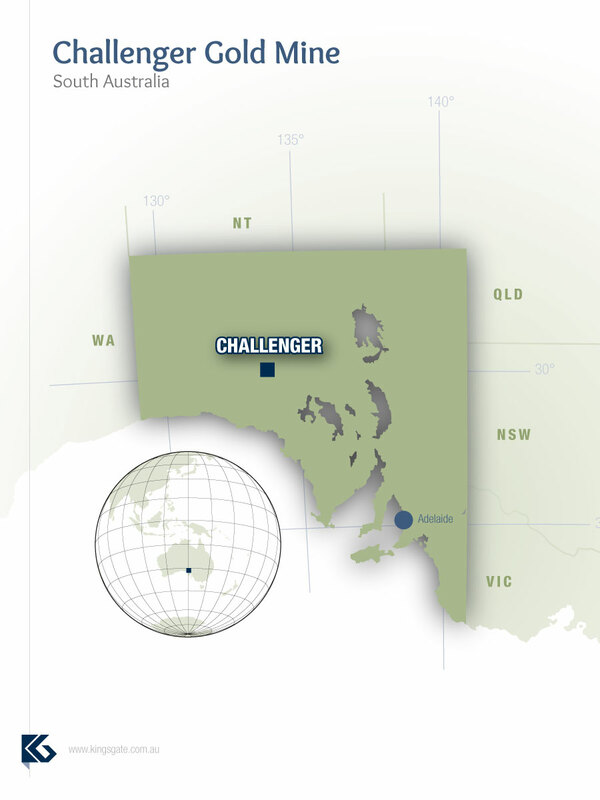 Challenger is located within the Commonwealth Government, Woomera Prohibitive Area (WPA). The Department of Defence (DOD) continues to utilise the area for rocket testing and other commercial activities. In the last 10 years DOD have not impacted on mine operations. Challenger Mine has fostered strong relations with the University of Adelaide over the past nine years. Each year selected students from the Schools of Geology and Mining Engineering undertake field trips to Challenger, where they experience a very detailed and hands-on introduction to mining. Kingsgate offers academic Bursaries and Prizes to students in both disciplines. Full details of all environmental monitoring reports and a detailed review of all environmental issues are contained within the 2013 Mining and Rehabilitation Compliance Report (MARCR). The MARCR can be downloaded from DMITRE’s website www.minerals.dmitre.sa.gov.au and can be found using the search word “Challenger”. A supplementary groundwater extraction bore (Gusher 3) was commissioned at Challenger to increase the supply of potable water made available to the accommodation camp. A third reverse osmosis plant was also commissioned to accommodate the increase in volume of water that needs to be filtered for potable use. 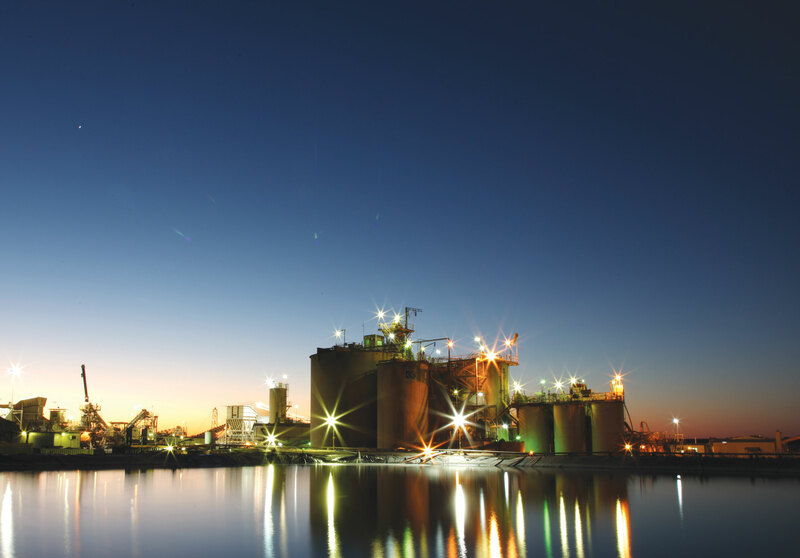 A total of 436,175 tonnes of water was used to process 556,631 tonnes of ore during the financial year with a ratio of 0.78 tonnes of water to one tonne of ore. Water usage was reduced onsite via recycling of supernatant water from Tailings Storage Facility (TSF) 2 via the decant water return system. The Annual Groundwater Review Report indicated that analysis of groundwater samples collected from the mine site groundwater monitoring network are generally below the relevant guideline, and in many instances near or below the Limit of Reporting (LOR). Concentrations of CNWAD (cyanide weak acid dissociable metals) analysed from groundwater samples collected from monitoring bores surrounding the tailings storage facility (TSF) suggest the natural attenuation of cyanide is occurring and containment measures in place for process water and tailings slurry are performing as designed. Challenger’s online incident reporting system was upgraded from Skytrust to QHSE Data Manager during the 2012/13 financial year. The updated reporting commitments approved in March 2012 have lead to an increase in the number of reported incidents during 2012 and 2013. A total of three environmental incidents were reported to government regulators in the 2012/13 financial year with the incidents assessed as low to moderate risk. All incidents were investigated and were closed out before the end of the financial year. An independent environmental compliance audit was undertaken by specialist consultants Outback Ecology in March, 2013. The compliance report was submitted to DMITRE as part of the annual MARCR in April, 2013. The compliance audit identified action tasks which have now been completed. At Challenger tailings are stored in an integrated waste landform (IWL). This is essentially the same as a traditional tailings storage facility but is built to blend into the waste dumps. Groundwater monitoring bores located around the Integrated Waste Landform (IWL) were sampled quarterly in line with Challenger’s approved Program for Environment Protection and Rehabilitation. The supernatant pool water was well managed throughout the year with the cyanide concentration remaining below the adopted guideline limit of 0.5 milligrams per litre (mg/L), within the TSF. To date cyanide groundwater quality has remained below the revised reporting limit of 0.08 mg/L. Ecosystem Function Analysis (EFA) was conducted on five previously established monitoring sites and two new monitoring sites at Challenger in August 2012. Natural Acacia and Chenopod sites located within the mining lease were monitored and compared with the eastern and western Integrated Waste Landform (IWL) monitoring sites. Some progressive rehabilitation was undertaken throughout the 2012-2013 financial year. More than half of TSF1 has been capped with fresh waste rock and will continue into the next reporting period. A decision has not yet been made if TSF1 will be raised any further as per approvals, however fresh rock capping will remain until this is determined. Fresh waste rock armouring of the crest bund around the western and eastern landforms has commenced. The eastern crest bund was armoured with 0.5 metres of fresh rock. This crest armouring is proposed to continue into the next reporting period with topsoil added and seeded with local province seed. Previously disturbed areas around production bore four CPW04 were lightly ripped; contoured and seeded with local province seed. Disturbed areas around other production and gusher bores were lightly ripped and then contoured by a grader for future seeding. The triennial noise and hygiene survey was conducted in 2012 and comments on dust survey results. All respirable dust results were below the set exposure standards for atmospheric contaminates. Higher than limit inhalable dust results were recorded from the lab technician and crusher operator, who wear a P2 dust musk as personal protective equipment to reduce the limit of dust inhaled. Underground dust results were all below the recommended limits.